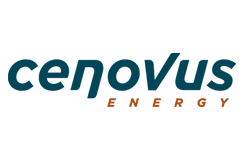 Cenovus Energy is a Canadian oil company. We’re committed to applying fresh, progressive thinking to safely and responsibly unlock energy resources the world needs. Our operations include oil sands projects in northern Alberta, which use specialized methods to drill and pump the oil to the surface, and established natural gas and oil production in Alberta and Saskatchewan. We also have 50 percent ownership in two U.S. refineries.